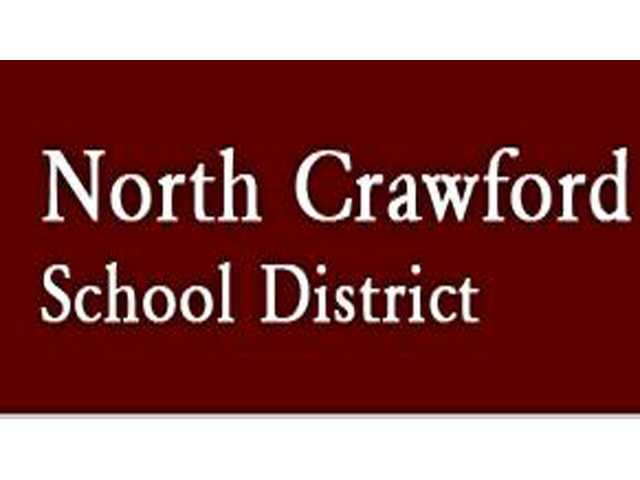 POSTED January 30, 2019 11:59 a.m.
NORTH CRAWFORD - Special education, in a variety of ways, was a major theme at the meeting of the North Crawford School Board, held on Wednesday, Jan. 16. The long term financial health of the district, as well as consideration of the recently-completed State of Wisconsin ‘Blue Ribbon Commission on School Funding’ were also compelling topics occupying the board’s attention. North Crawford experienced an influx of students into their special education program in the 2018-19 school year. This has put a strain on the district in a variety of ways. Financially, it has required the addition of staff to meet special needs, develop assistive technologies and support the school’s early education programming. Kim Littel, an experienced special education professional, was brought on as the district’s Special Education Director for the current school year. Littel will finish out the school year in her position, but her resignation was tendered and accepted by the board at the meeting. The board also accepted the resignation of Peter Hueser, who also worked in special education for the district, effective on Friday, Jan. 18. For school districts across the state, special education is an increasingly costly line item in budgets stressed by cuts to education funding over the last decade. For instance, within North Crawford’s $6 million annual budget, education of just one special education student can cost as much as $65,000. According to Superintendent Brandon Munson, the recently completed State of Wisconsin ‘Blue Ribbon Commission on School Funding’ took up the issue in their deliberations of potential changes to the state’s Special Education Categorical Aid appropriation. The report explains that special education categorical aid reimburses school districts, independent charter schools, Cooperative Educational Service Agencies (CESAs), and County Children with Disabilities Education Boards (CCDEBs) for a portion of the costs for educating and transporting pupils enrolled in special education. Statewide funding for special education aid to school districts for the 2018-19 school year will cost $368.9 million. Individual school districts are reimbursed for expenditures in the prior school year at the rate of 24.5 percent of total dollars spent on special education. Responding to a resounding chorus of a need for more support from testimony heard around the state, recommendations for significant increases to the rate of reimbursement are included in the report. The three recommendations under consideration are for reimbursement percentage increases from the current 24.5 percent to 30 percent, 33 percent and 50 percent. These increases would respectively produce an increased state budget expense of $45.1 million, $74.7 million and $119 million. Both Munson and District Business Manager Demetri Andrews expressed optimism that the legislature would act on an increase in special education categorical aid in the upcoming two-year state budget process. If enacted, the increase in spending has great potential to provide relief to school districts’ efforts to provide needed service to students with special needs. One key service that school districts provide to students with special needs is assistive technology. The technology generally falls into two broad categories – communication technology and other technology. Mindy Biege, Speech and Language Pathologist for the elementary, junior and high schools was featured in the ‘District Showcase’ part of the board’s agenda. Biege demonstrated various assistive technologies the district offers to special needs students, and talked about her opportunities for learning and innovation, as well as her efforts to provide quality upgrades in a frugal manner. Many of the students with whom Biege works have severely limited abilities to communicate or are only beginning to learn to use the communication abilities they have. Biege demonstrated the use of large button switches that could be used to activate communication devices, electronic appliances, and computer-learning programs, for students that otherwise lacked the motor skills or mobility to perform these tasks. In addition to the switches, Biege also identified a host of other communication devices offered by the district. Perhaps the most amazing of these is the eye-activated computer-learning device, which allows students with severely limited motor skills to pursue learning. A new full-size propane bus will round out the district’s fleet, and should be in service before the end of the current school year. The new bus will feature a lift, replacing the district’s current lift bus, which has almost 200,000 miles on it. Because the bus will have removable seats in the front area near the lift, it will allow the district to transport up to four students in wheelchairs at a time and allow for participation in school trips. The cost of the new bus will be $100,528. A $6,000 grant, as well as an increased amount of High Cost Transportation Aid from the state for next year will help to offset the cost of the purchase for the district. Following out the special education theme of the meeting, the school board also acted on superintendent Munson’s recommendations for setting the district’s open enrollment space projections. The board acted to approve Munson’s recommendations as presented. North Crawford Business Manager Demetri Andrews reported to the board on the results of a recent five-year financial health analysis he had recently completed for the district. That being said, Andrews was quick to explain that the likelihood of that happening is not high given changes in state government and the results of the Blue Ribbon Commission on School Funding. Andrews believes it is very likely that rural school districts will realize revenue increases in various forms of state aid in upcoming years that will change the financial forecast for the district dramatically. Even so, the school will also face upcoming capital expenditures on infrastructure such as a new roof, which may lead them to consideration of a tax levy referendum such as other districts have done in recent years. • approved substitution of a band trip to see a musical at the Orpheum Theater in Minneapolis in June for the previously scheduled trip to see ‘Hamilton’ in Chicago.